In a prior post here on IPWire I mentioned the issue of venue in patent cases is an extremely hot topic right now as the District Courts try to sort out how to apply the “regular and established place of business” test in 28 U.S.C. § 1400(b) post TC Heartland. After years of judicial “hibernation” new jurisprudence is required to address where Defendants can be haled into Court for infringement. At least one venue related case is already being taken to the CAFC by way of mandamus, namely the decision by Judge Gilstrap in Raytheon v Cray CV-01554 from the Eastern District of Texas (EDTX). Cray’s papers try to make as much as possible of Judge Gilstrap’s “regular and established place of business” analysis to place the issue front and center to the CAFC. The Judge’s opinion has come under attack as well by the usual cast of serial infringers (i.e., large Silicon Valley technology companies) in at least one Amicus brief and Representative Issa, no surprise. While the Amicus protesters ostensibly address the factual merits in Cray, their main target is clearly the unusual and detailed judicial “enlightenment” Judge Gilstrap tries to present to parties in his district who may be contemplating future venue challenges. As discussed below, what clearly upsets the Amicus filers most is the proposed four-factor, flexible “totality of the circumstances” test set forth on pages 19 – 26 notwithstanding the Judge’s express indication that this methodology was not used in this particular case (see p. 27, FN #13). Cray argued first that it had not committed acts of infringement in EDTX by selling supercomputers from that district, because the computer was installed at a different location. Cray also argued that its employee in EDTX had not sold, or made offers for sell within EDTX. In examining these contentions, Judge Gilstrap pointed out that Cray did not deny that users in the EDTX (including students in Tyler) would nonetheless use the infringing computer, even if it were installed in Austin. The final location was effectively irrelevant because the system could (and would) be used by users in the district. Furthermore the Judge held that an “offer” for sale could have different physical and conceptual dimensions, meaning it could span multiple locations. 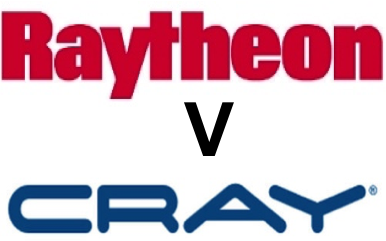 Cray’s employee (who lives in the district) was credited on quotas/sales sheets with multiple sales of infringing computers and thus these activities could be reasonably tied to the district. Judge Gilstrap then went on to cite the CAFC decision in Cordis for the proposition that a physical presence is not required under the venue statute to constitute a “regular and established” place of business – at least when the accused infringer employs actors in the district that work exclusively on its behalf. The Court went on to examine Cray’s employee’s efforts within EDTX (e.g., calling clients, new account development, distributing brochures to name a few) and concluded that these marketing/sales activities were sufficient to constitute a regular and established place of business. Here the Judge noted that he would consider multiple forms of physical presence, including property, inventory, infrastructure, or people physically located in the district. The lack of a physical building would not be dispositive in his opinion. Judge Gilstrap also pointed out he would consider “the extent to which a defendant represents, internally or externally, that it has a presence in the district.” Here he cited to earlier SCOTUS precedent (Judge Learned Hand in Chadeloid Chem Co. v. Chicago Wood Finishing Co.) that a defendant who represents that they do business in a district cannot subsequently deny a connection to such location in Court. The Court also mentioned that it would consider benefits the Defendant derives from doing business in the district, including but not limited to considering sales revenues. As his final factor Judge Gilstrap indicated a court should consider “the extent to which a defendant interacts in a targeted way with existing or potential customers, consumers, users, or entities within a district, including but not limited to through localized customer support, ongoing contractual relationships, or targeted marketing efforts.” The Court specifically highlighted “T]hese types of “localized customer interactions (through whatever means)” as weighing in favor of finding venue. …None of these factors should alone be dispositive, and other realities present in individual cases should likewise be considered. Courts should endeavor to determine whether a domestic business enterprise seeks to materially further its commercial goals within a specific district through ways and means that are ongoing and continuous. Such a conclusion should be driven by a fair consideration of the totality of the circumstances, and not by the siren call of bright line rules or an overt attachment to form. Love it or hate it, Judge Gilstrap’s proposed four part test is both well-thought out and well-supported. He relies heavily on SCOTUS precedent, and the latter’s recent clear bias and embrace of more flexible tests in patent related matters. The arguments by Cray and the Amici will be addressed in a follow-up post. The large e-commerce companies effectively argue for a world in which they have the financial benefit of doing business with consumers in every district in the US without the burden of being haled into Court in such areas for infringement. As I will explain, however, their advocacy of a narrow, rigid rule for venue contradicts recent SCOTUS precedent concerning interpretations of patent rules and should be viewed skeptically by the CAFC. 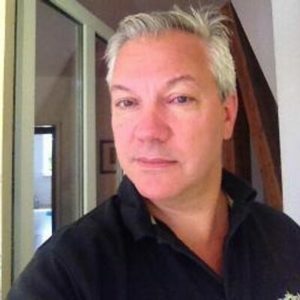 About the author: J. Nicholas (Nick) Gross is a Berkeley based solo IP law practitioner with 30 years of experience representing high technology companies in Asia, Europe and Silicon Valley, including in the areas of patent prosecution, patent assessment, brokering, licensing and enforcement matters. His PTO experience encompasses all phases of patent procurement including drafting, PTAB appeals, post grant challenges and appearances at the Federal Circuit. He has worked with inventors in a number of complex technologies, including xDSL communications, mobile applications, magneto-electronic devices, flash memories, solar modules, semiconductor processing, epitaxial materials, speech recognition, Internet/e-commerce, microprocessor architectures and computer software. Nothing posted at this site should be construed as legal advice or an offer for legal services. Should you need assistance on an IP matter, feel free to contact me at via email here.